Check out some of the most creative, clever, brilliant, and best billboard and outdoor ads (examples and images) at top ranked business, marketing, out-of-home, creative and photo sites and blogs. Learn how advertisers are leaving an impression with billboard advertising. These are great sources of inspiration for digital marketers, business, bloggers, techies, photographers, creative, graphic design, advertising and marketing professionals who plan to incorporate digital billboard and outdoor advertising into their media mix. Once you see these billboard ads and creative examples you will want to create your content and get started right away on Fliphound – Billboard advertising made easy. 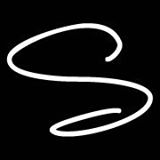 Bored Panda is a leading art, design and photography community for creative people. Our submission platform helps artists and creators turn their stories into must-read viral content. Mission. Fight boredom. These two articles showcase multiple billboard advertisements that left a creative impression. Business Insider is an American business, celebrity and technology news website launched in February 2009 and based in New York City. This article shows that while billboards may be one of the oldest forms of advertising, it continues to be a creatively competitive field. Here are some of the best of the best from 2015. 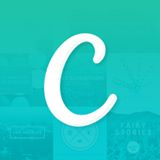 Since 2007, Hongkiat.com has been the go-to site for designers, bloggers, developers, techies and readers in search for content and resources to do with design, technology and inspiration. This article shows how creativity has been used to make billboards brilliant. This blog shows how billboards around the world have used creativity to go from ordinary to extraordinary. The OBIE Awards are one of the oldest and most prestigious honors for creative excellence in advertising. The OBIE name is derived from the ancient Egyptian Obelisk, a tall stone structure that was used to publicize laws and treaties thousands of years ago. Many historians consider the obelisk as the first true form of advertising. TwistedSifter (Entertainment Website) - To educate, entertain and inspire each and every day. At Wix’s core is an HTML5 drag-and-drop website editor, enhanced by a highly curated app market, 100s of designer-made templates, top-grade hosting and tons of free features. 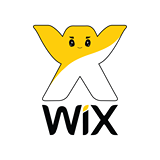 Wix has become the go-to platform for millions of businesses, organizations, professionals and individuals worldwide. With its powerful technology and user-friendly, code-free tools, Wix enables you to launch and manage your web presence, just the way you want it.